Time and again, noted threat to democracy Donald Trump proves that he is the rare individual who can plumb social depths you never even knew existed. In a revealing article with the New York Times, Anthony Senecal, the current historian and former longtime butler of Trump’s Mar-a-Lago estate, goes deep on life with the Donald. Among the revelations: Trump is apparently afraid to show his legs off, wears differently colored hats to signal his moods, and likes to be serenaded with “Hail to the Chief” when he’s feeling blue. 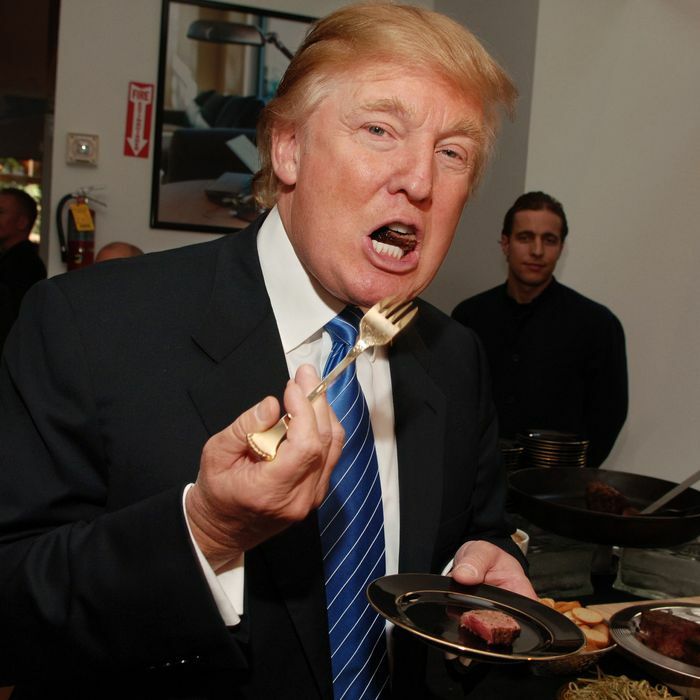 The most galling part, however, comes early, as Senecal describes in no uncertain terms just how Trump takes his steak: “It would rock on the plate, it was so well done.” Sad! Steak cooked to the point of it being “well done” basically ruins everything great about steak, and the fact that Trump likes his to resemble petrified wood should be further proof for all Americans that he shouldn’t be trusted. It might also help to explain why the now-famous Trump Steaks were, according to the executive in charge of actually selling them, such a dismal failure, saying recently, “We literally sold almost no steaks.” Clearly, Trump is a man who does not know meat.